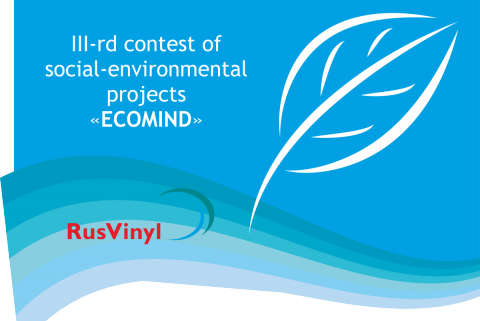 “RusVinyl” announces the “ECOMIND” competition of ecological projects. The purpose of the competition is to support the initiatives, directed to protect the nature, ameliorate the environment and form the ecological culture of the citizens of Kstovo and the Kstovo district. The most interesting and relevant projects will be implemented before the end of this year with financial support of “RusVinyl”. Non-commercial organizations are invited to participate. You may find the Regulation on competition and an application form at the company web-site in the section “Responsibility”. Applications are collected through June 15, 2016.